This spring Colorado has reminded us how weird our weather can be here. In February we had weeks of dry, sunny, 60-degree weather, and then in late March we started getting slammed with snow. We've now had several blizzards and probably gotten about four total feet of snow in the last month. 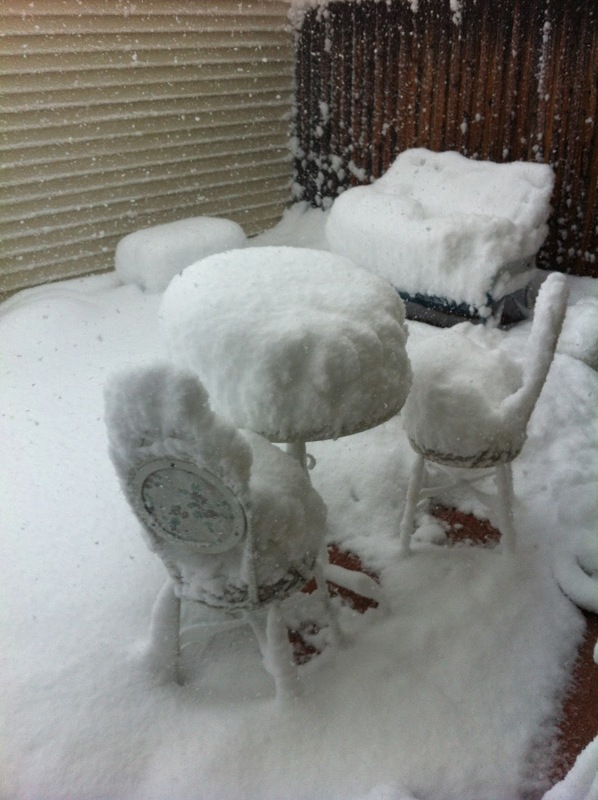 This was my patio on the first of our blizzards, about a month ago. And it wasn't even finished snowing at this point! Luckily, this is Colorado, so it does all melt quickly. I hate this time of year because I feel like the horses aren't anywhere near prepared for it. They've been shedding out their winter coats for a couple of months now, so they don't have the same protection they had all winter against cold. And even if they did, spring snow is wet, heavy snow and will quickly soak through their coats. Wet horses can't puff their hair up to trap warm air and regulate their body temperature, so in my opinion they need to be blanketed when it snows -- especially spring snow. Today is sunny and warmer (around 50 degrees), so the evidence of our last blizzard -- over the weekend -- is melting away. 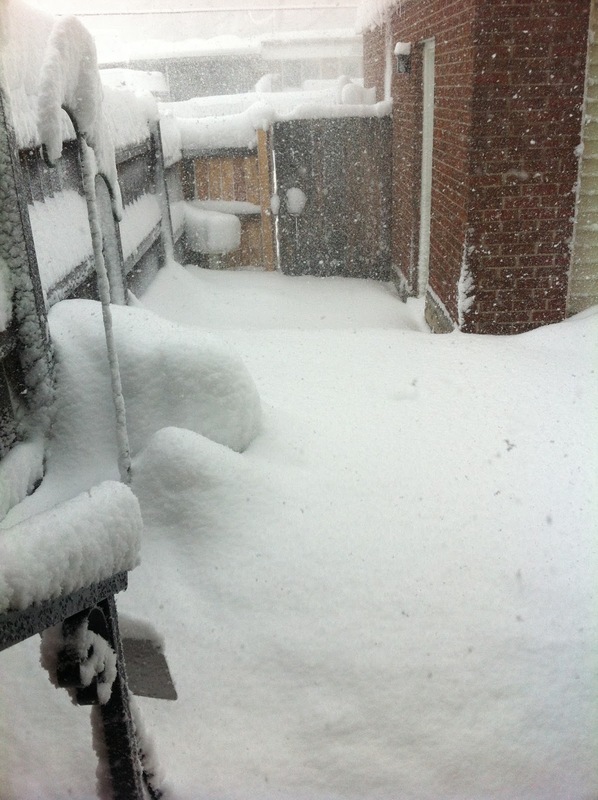 Let's hope my little garden survived yet another foot or more of snow being dumped on it! The plants of course started blooming early this year because of all the nice weather in February, so I've been worried about them with every snowstorm.